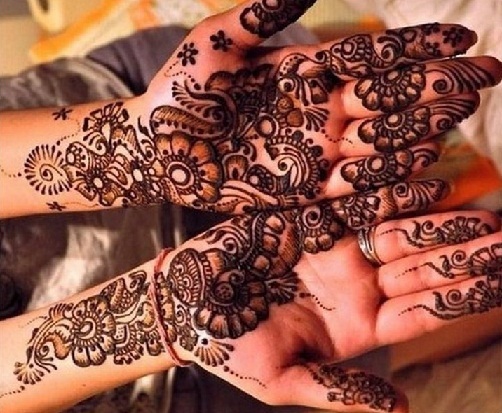 On any Indian occasion mehendi is considered to be the most important element in any women’s make up and beauty. 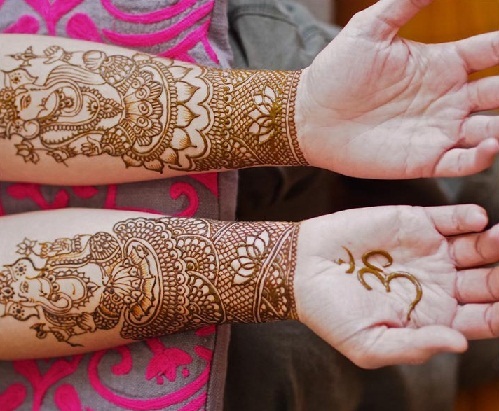 Mehendi will not only increase the beauty of the women but also marks the level of love for the newly wed or even the single women. Here are the popular and latest mehndi designs for competition which can be used and grab the praising of the people around. Being the colorful and the most beautiful bird on the land, peacock has also placed its mark in today’s mehandi designs. 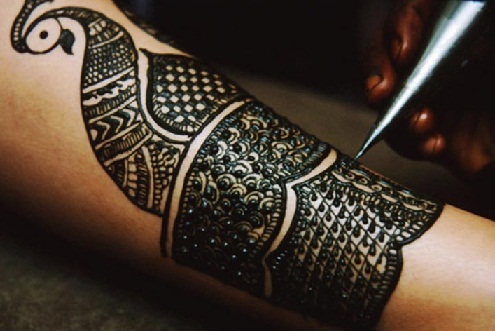 Being the mascot for beauty, love and agility; peacock mehndi design is simplistic in nature and is the most favorable among the women. One can use it as the element of design in mehendi competition. 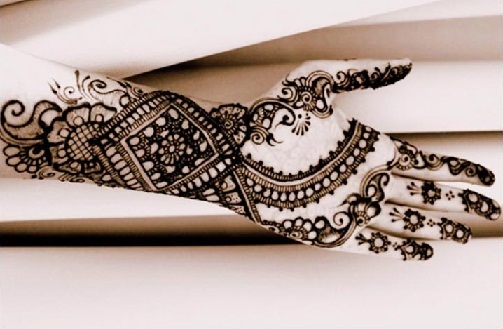 Another beautiful, loving but intricate and teemed design meant for the bridal mehndi. In this design bride and bridegroom are showcased playing dandia which also imaging all the scene of joy, love and happiness in such a small space. 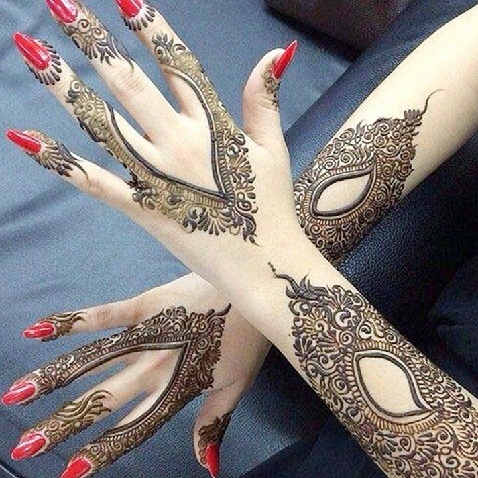 Now a days, in the name of trend and fashion, latest mehndi designs are bringing with there imagination and allure of past beauties. Among all of them, this chakra design is one. It’s very best choice in many mehandi competitions. 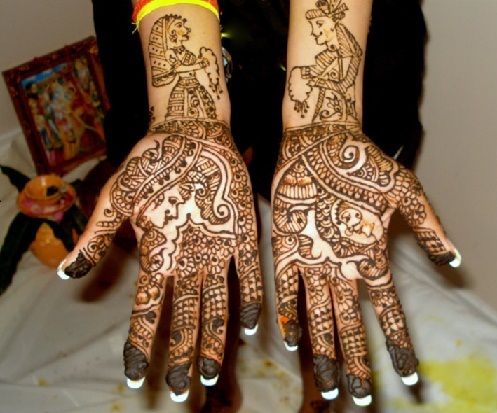 Mango leaf mehandi design is not so intrusive but highly appealing and easy which is meant for mehendi competition. 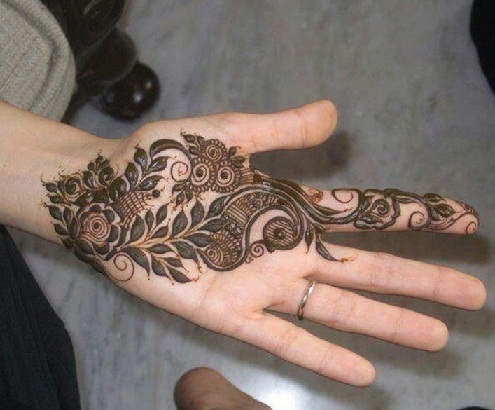 This design have symmetric mango leaf design on both the hands, with detailing in the mid of the design. The center attraction of the mango design doesn’t distract the whole look of the mehendi. Stunning and latest mehandi design highly inspired by moroccan trendy motifs, this mehendi design stands out to be unique in its design, giving it filled up look yet being simple and modern. In any mehandi competition designs this is favored by many. 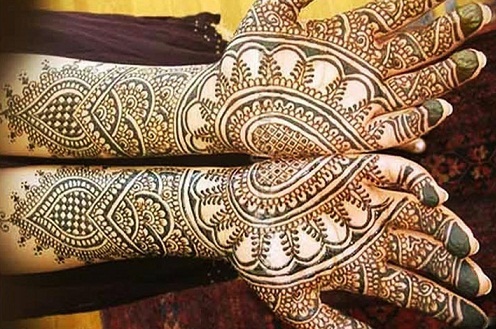 For those who favor simple, flowy look of Arabic traditional design, then this mehendi design could be considered as the winning element for the competitors. 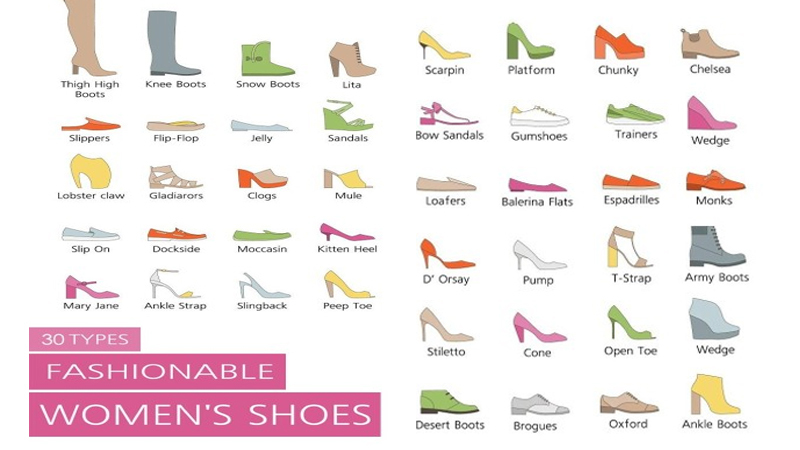 This is simple and delightful floral design preferred by many women in India. 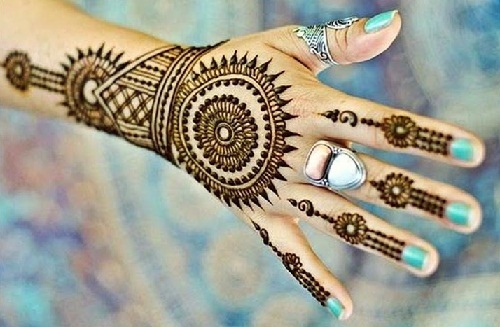 Most easiest and simple henna design one can opt for mehndi competition is Arabic stripped design. This design contains Arabic stripped pattern which is placed on ones hand with elegance. The most worshiped god, ganesh ji is laid out in mehndi design which gives a stunning look. This is most beautiful and blessed design for nay bride to wear on her big day. Having elegant and royal touch of this rajasthan mehendi portrays its basic theme of dulha dulhan on either hand showcasing the love and the beauty of the relationship between them. In the spirit to not only win the competition but also to have name to be remember in the mehndi competition designs and these mehandi designs are superb choice to choose from. These tracings were so intricate that the judges will be impressed and have a tough time to deciding the winners.